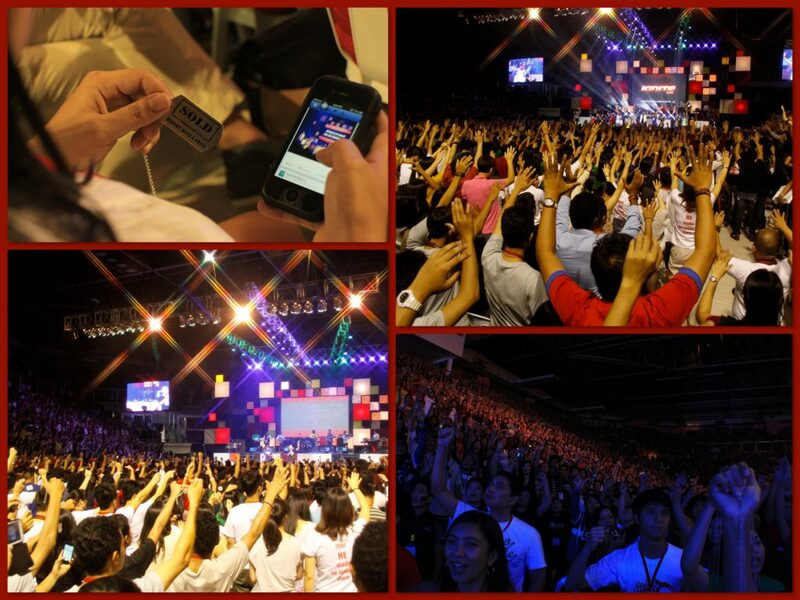 Ignite 2013 was an awesome experience! It’s taken me almost a month to put to paper what I really liked about it. It’s difficult because everyone just did so well! But here it is! My favorite parts of Ignite 2013. I’m convinced that the success of the event started when we heard the right message from God. I appreciate Carlos, CJ, Pastor Gilbert, and other leaders who prayed together and asked God for His direction. Everything else – messages, special numbers, videos, and activities – all flowed from this message. The overwhelming response of the students confirmed that this really was a message from God they really needed to hear. I’m excited to see the results of their life change after the conference. Paint a picture of a big God and people will respond. 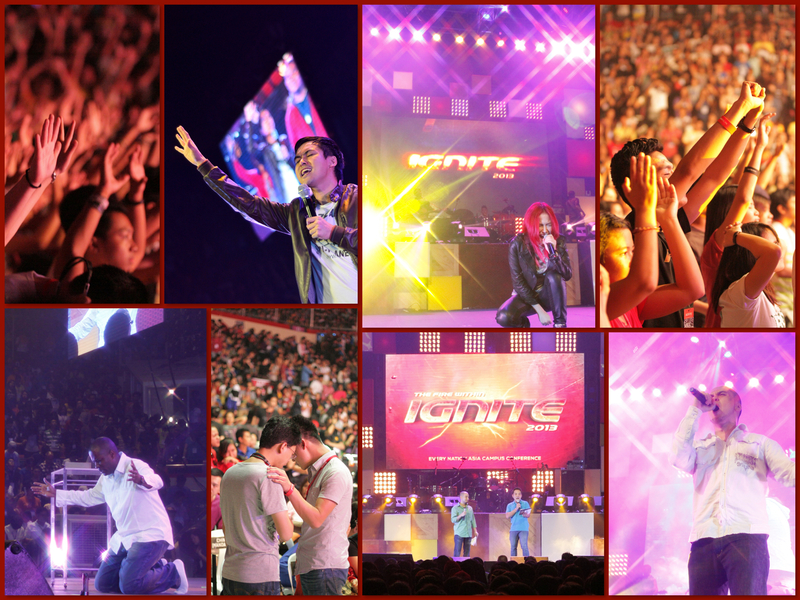 Ignite 2011 was amazing. But our Apostolic Team had a bigger vision: don’t just think of the Philippines, think of campus ministries all over Asia. That simple change was monumental in increasing our vision and scope. It was like a ceiling was lifted and we could believe for our Holy God to do everything. If you want to capture the heart of young people, paint a big vision for them. And you can’t get much bigger than the vision to disciple the nations for Jesus. 250+ delegates from 20+ nations are great. But more exciting are the thousands of students they represent that will be reached. The worship was just amazing and it wasn’t just the worship team or the times of singing. The attitude of constantly lifting up our God was so pervasive. While the skill, passion, and technicals were also excellent, it was only full of life because the people were expecting it and excited to hear from God. My wife told me after the second day that in all her years in the entertainment industry she never saw such passion and excellence in any crowd. Not for a concert, tv show, product launch, or anything. That’s because it wasn’t an entertaining show, but people worshipping their God. One thing I loved about Ignite were the moments of declaration. Where it wasn’t just people from the stage telling the students, but the students declaring God’s Word for themselves. The giving of the Ignite dogtags was a major moment like that, but there were several others as well. One of the worship songs that we sung was Strength of My Life where one of the lines was, “You are the strength of my life, Lord.” Hearing thousands of students singing that gave me assurance that even when the conference is over, the change will continue because the students can go straight to God. It was a real pleasure and privilege to work with such talented and passionate men and women. Whether volunteers, campus missionaries, administrators, suppliers, etc, each person came and did their best. The event itself was amazing. When you see how much it cost, even more so, because you’ll realize that nothing beats the commitment and excellence of a volunteer. On Friday, I’ll blog about my favorite non-scripted Ignite moments. And on Monday, I’ll share some of the insights from the team post-event. Check out the Ignite website for more content: audio downloads, images, videos, and social networking stuff.